This weekend is your rare opportunity to see Stephen Sondheim, Richard Rodgers & Arthur Laurents' infrequently-produced musical Do I Hear a Waltz?. Set in Venice, the story follows the hard to love Leona (Melissa Errico) and several others as they navigate and negotiate the realities of their relationships. One of the guests at the Pensione Fioria is the dashing Claybourne Elder, who as Eddie Yeager sings the big number "We're Gonna Be All Right" and unsuccessfully dodges the advances of Karen Ziemba's Signora Fioria. This is hardly Elder's first Sondheim rodeo, having starred in New York premiere of Road Show and regional productions of Into the Woods and Sunday in the Park with George. 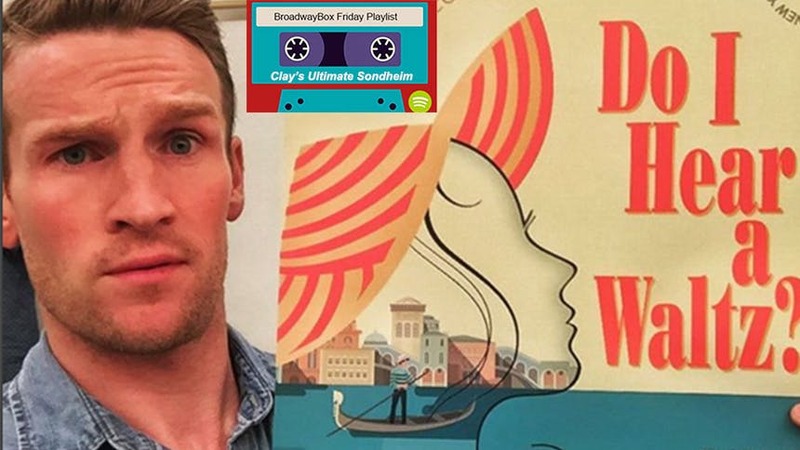 So BroadwayBox thought, 'Who better to do the impossible, and create an ultimate Sondheim playlist?' Now press play as Claybourne Elder shares with you his 20 favorite Sondheim songs. Do I Hear a Waltz? runs at New York City Center through May 15.